Kate Beckett’s new Loft from Castle. I want this. Editor: Please welcome new guest author Jenny who will be recapping Castle episodes this season. I’m sure you’ll agree, there’s no mystery, Jenny’s a great addition to the team. Finally! It’s finally here! The Castle Season 4 premiere. We left off last season with Captain Montgomery’s final stand, Detective Beckett (Stana Katic) getting shot, and Castle (Nathan Fillion) confessing his love. In a most satisfying fashion, we come back after months of waiting to find that only minutes have passed in the Castleverse. With so many shows that like to fast-forward through what are admittedly the most problematic bits of plot arcs and sometimes showing what happened through flashbacks (Desperate Housewives, Dexter, Rizzoli & Isles, to name a few), it was really refreshing to rejoin the show right where we left off. Maybe it’s just me, but I feel like the former technique distances the audience from the show and the characters because they didn’t get to go through the traumatic period with them. Not Castle. 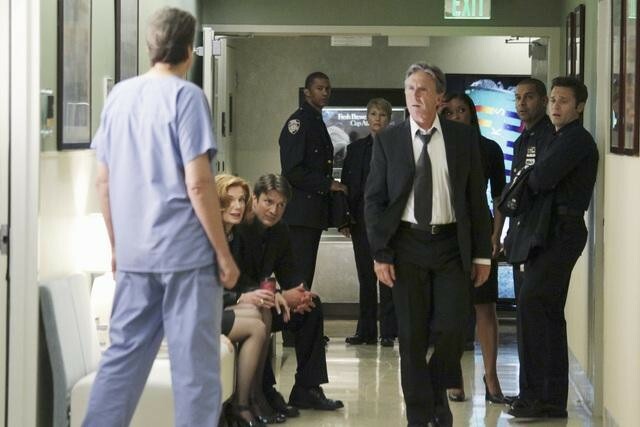 The audience gets to be part of the precinct family in the hospital, waiting to hear Kate Beckett’s fate. Maybe showrunner Andrew Marlowe and the rest of the crew on Castle just understand this show’s audience’s need to feel involved. Twice in just this episode they have characters playing the part of the audience by proxy: the first time is Alexis yelling at Josh and angrily trying to shove him after he accuses Castle, her Dad, of being responsible for Beckett’s shooting, the second time is when Ryan and Esposito refuse to let Beckett escape into the break room for coffee after she tells them she hasn’t spoken to Castle in months. They ask question after question on the tips of the audience’s brains while watching. Even though the audience doesn’t get to directly participate, there’s a real sense of satisfaction about having these questions and then characters on the show asking and getting answers. Wife took the kiddo to the Magic Kingdom for a haircut with Michal today and, of course, they snuck in a few attractions. While strolling around she snapped a few pics of some construction at the park. The Crystal Palace is undergoing a major refurbishment. From the skylights to the sidewalk everything is getting a fresh coat of paint, at the very least. The facade was definitely showing some wear. So this is a good sign. The castle moat and surrounding water ways have also been drained. 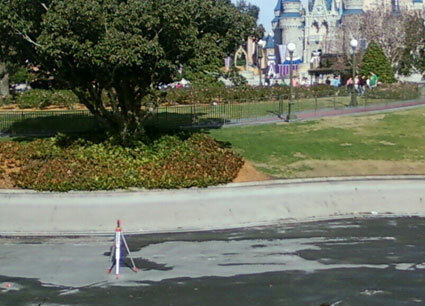 Of note, the surveyors tool in the middle of the drained moat. I imagine they’re checking to make sure that everything is still level. I wonder if the Castle is sinking, not to start a rumor or anything. 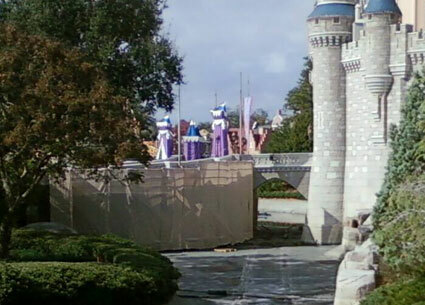 There does appear to be some work around the drawbridge area of the castle. It’s behind those curtains, covered up so we can’t see what’s going on. 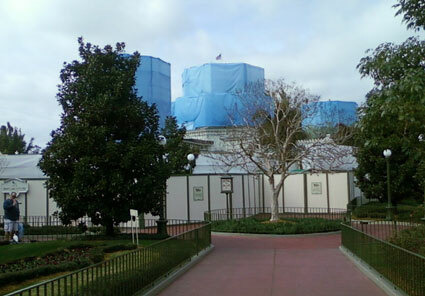 Sleeping Beauty Castle Walk-Through to Re-open at Disneyland?